The Wreath Blog by GeorgiaPeachez: This Wreath Is A Stunner! I finished the pink/turquoise wreath that I started a couple of days ago. 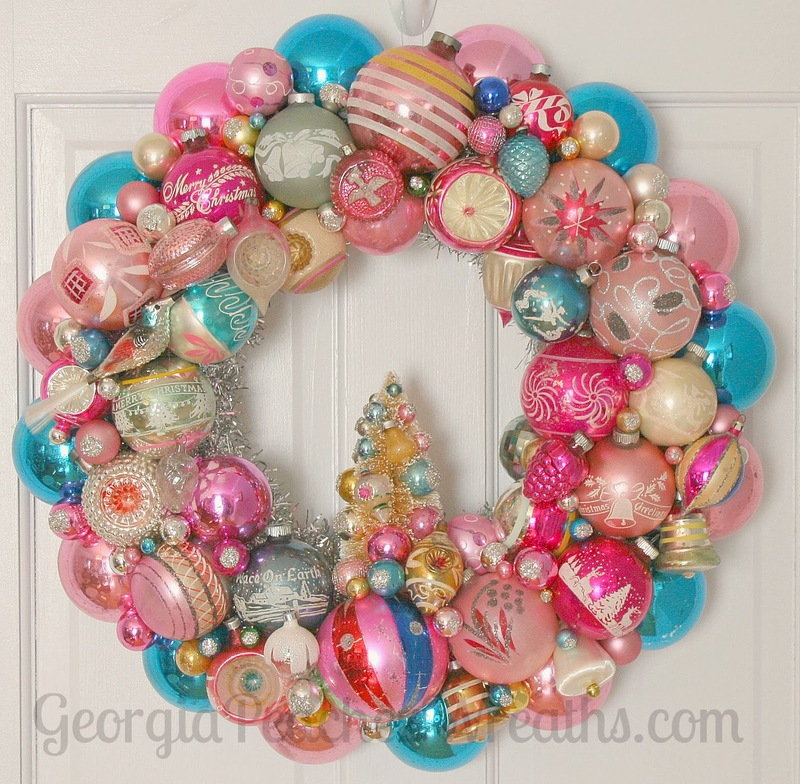 I started with this large wreath form and added extra large 3" vintage Shiny Brites all around the outside. Then I pulled out all my most stunning vintage ornaments, even some from my personal collection. 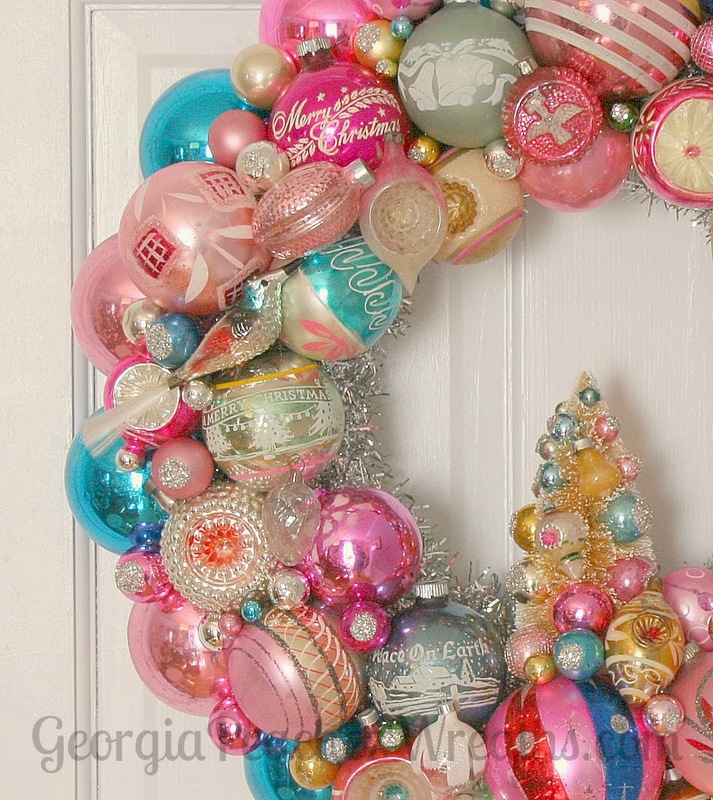 This wreath is packed with over 100 extraordinary ornaments. Just click the picture to see it full size. This wreath is a stunner at 20" across. Quite the statement piece for sure. This wreath is available, but you must contact me directly for pricing. Write to me here. if you are interested. This post will be updated once the wreath is no longer available.